New hire Brian Bloomfield, PE was recently brought onboard to manage our Panama City Beach office. 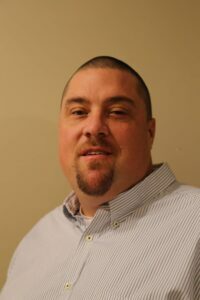 Brian brings with him 16 years in the construction industry as both an engineer and branch manager, as well as skills in geotechnical engineering, subsurface exploration/drilling, and construction materials testing. He has completed the geotechnical exploration for all types of projects throughout the Panhandle of Florida. Typical projects include residential, commercial, educational, and governmental facilities. Additionally, Mr. Bloomfield has an extensive back-ground in Cone Penetration Testing (CPT) and high-strain dynamic pile testing. After earning his BS in Civil Engineering at Washington State University, he landed on the shores of Panama City Beach and now can’t imagine living anywhere else. When he’s not busy supervising staff, his life is spent with his kids as he and his wife have two boys of their own and have fostered over 30 children in the past 4 years. When time allows he and his family love spending time fishing, diving and playing in the sun. Welcome aboard Brian. NOVA is excited to have you on our crew. Brian can be reached at bbloomfield@usanova.com and 850.249.6682.